Innovation has not been new in black metal since the 2000s as many bands are breaking the shackle and experimenting with their sound. Grá is one of those bands, hailing from Stockholm, Sweden. The band was formed by the members of Domgard and Cursed 13, and known for their eerie, melodic black metal with a delicate conceptual approach on their music. Grá, prior to the release of their final full length album, is now going for a collaboration with American black metal band Gnosis of the Witch. Unlike the loads of other USBM acts, Gnosis of the Witch has more perplexed and primitive sound. These two shadowy black metal hordes are about to release a split EP between them on 27th of April, 2015. The split EP is going to be released on 7’’ vinyl format on Iron Bonehead Productions. Grá commands the side A of the 7” with the track ‘Valitus ja Kaipuu’, giving a calm start accompanied by an acoustic intro. The song then breaks into slow, menacing black metal riff. The overall tempo on this side is doom-ish, with a thick guitar tone playing throughout. The rhythm section is outstanding, the best example to this statement could be heard around 2:18. 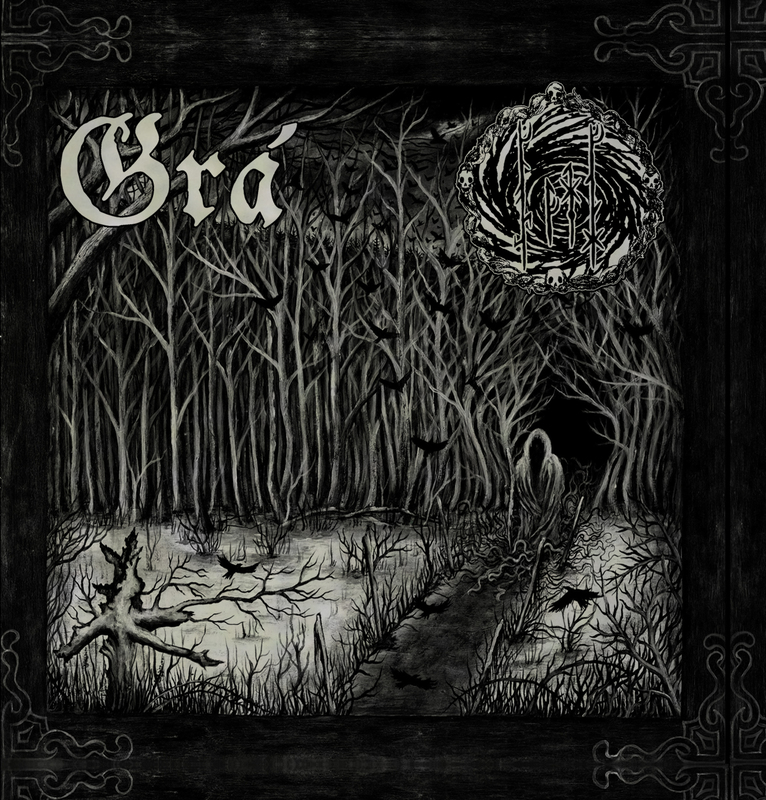 What keeps the music of Grá on this split is the bands ability to procreate gloomy atmosphere with the guitars and the bass incorporated. On this song, the bass guitar is upbeat and can be heard over the drums, which stays pretty simple as it follows through. The blasts can only be heard during a verse, which elucidates the tempo of the song. Heljarmadr from infamous Domgard and Dark Funeral is singing on this side with his mid-pitched shrieks, so anyone familiar with these bands have the idea on his skills. The song is not overproduced and it supports the shivering background really well. Artwork, Gra/Gnosis of the Witch. 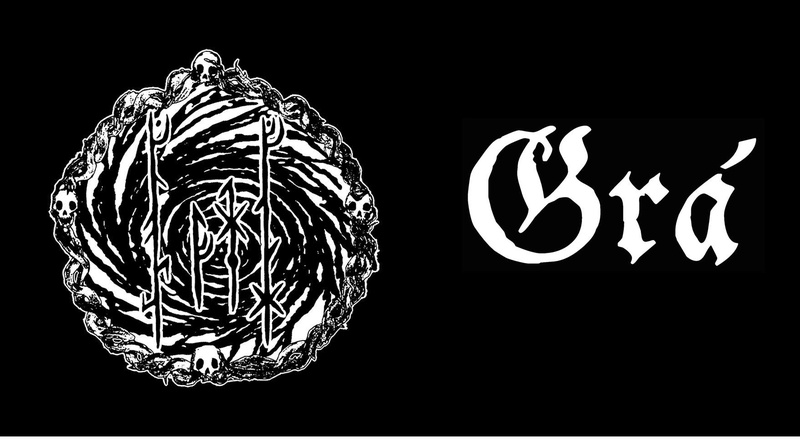 The excellence of Grá is followed on side B with US black metal band Gnosis of the Witch, contributing the track titled Fórn Dauðaorð. 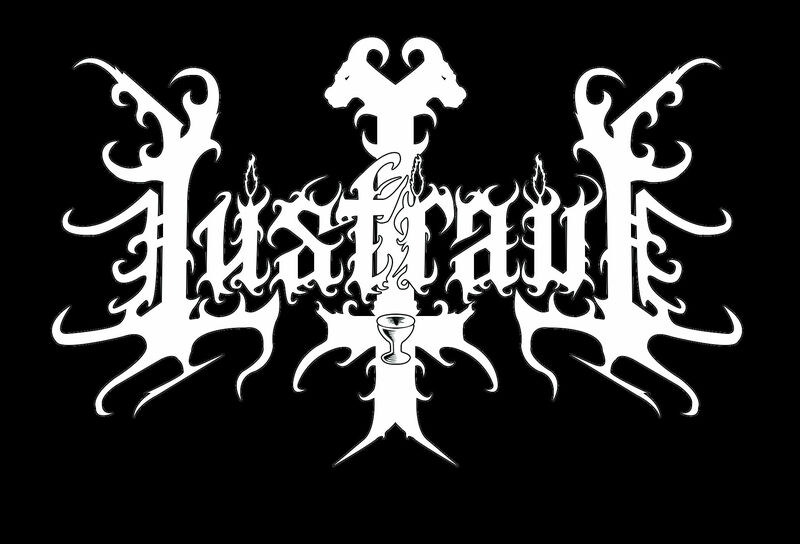 Although I was not familiar with the band previously, but it reminds me with the Scandinavian bands (Dissection, Mare) and Icelandic black metal band Svartidaudi. This track is not up to the mark once you have been forwarded from side A. The track is kicks off almost in a similar fashion exhibited by early Swedish bands, however, the starting riff sounds tremendous which is backed throughout by a sharp, melodic tremolo section staring around 0:52. The music at this point seem very European in terms of soundscapes. Yes, the atmosphere Gnosis of the Witch has created on this song is worth mentioning. This could also be the reason Grá chose these Americans to release an album with (apart from the lyrical contents which share similarities). The track has its slow and ambient mood which is attained from 2:30 before breaking into its black metal moments again. Unlike Grá, Gnosis of the Witch has their bass sounds buried amidst the guitar layers. In drumming, there is no abundant blasts or slow paced beats, rather played with sharp variations. To finish with, the music in ‘Grá/Gnosis of the Witch’ can be described as a balance between the harsh black metal sound and melodious background. There is nothing groundbreaking on this release but the split itself is a solid black metal art for the fans of Scandinavian black metal. Sxuperion, the name might seem unrecognized to you. It’s a one man project hailing from Mammoth Lakes, California, consisting of Lord Sxuperion since 1998. So, how do the band sound? Speculate about a highly atmospheric death metal sound with a very strong black metal influence. Some names may appear in your mind such as Garden of Shadows, SepticFlesh, early era Nightfall or Ancient Wisdom. Well, Sxuperion sounds way more different and original than most of them. 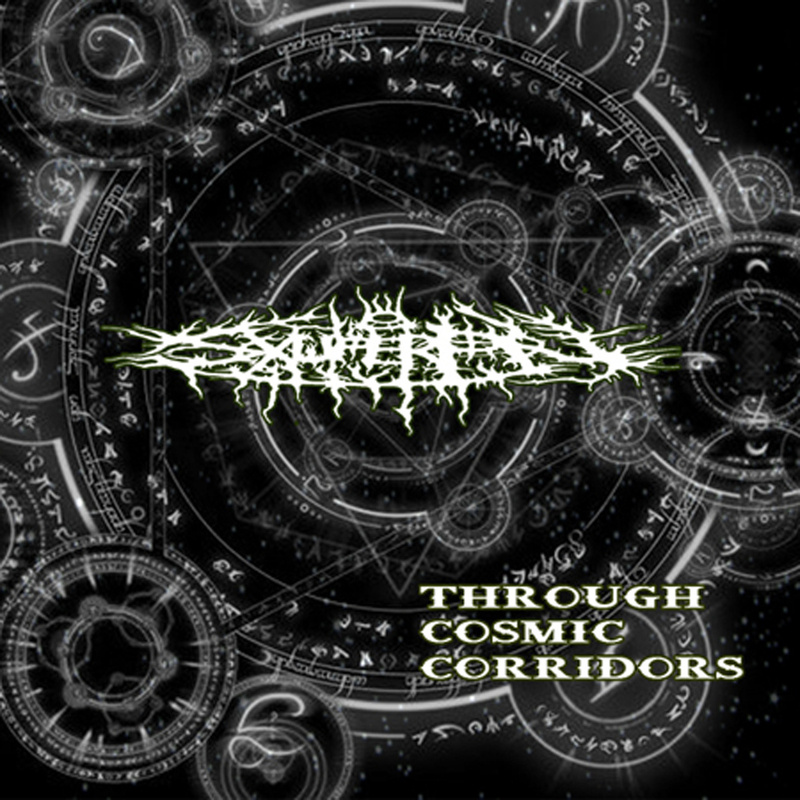 Although the band is pretty underrated, the debut album ‘Through Cosmic Corridors’ can be considered as one of the most solid and original albums released under the ‘atmospheric death/black metal’ tag. If you have not heard of the band, then it becomes really tough to provide ideas about ‘Through Cosmic Corridors’. Fortunately, the music of Sxuperion is as complex and atmospheric as the brilliant artwork suggests. The overall sound is pretty raw, primitive and experimented upon a very dismal atmosphere. The music is fast paced, intense and also melodious especially during the breakdowns and ambient parts. There are use of sampling effects to enhance the music more and to provide the ‘interstellar’ approach of the composition. The guitars on this record are heavy and thick, the riffs are multilayered and shifting their patterns and tempos frequently. The guitars on the violent section can be compared with Pseudogod, Sickrites etc. whereas on the melodic section it resembles with Tvangeste, Profanum and likes. The songs ‘Advanced Matter Drive for Ecclesiastical Dust’ and ‘Teller Control Panel’ are the best examples for checking out the complexity of this album. The bass guitars on this album are pretty high on the mix and can be heard clearly alongside the guitars. My most favored section on this album is the drums. The drums are fierce and exceptionally well played by Lord Sxuperion. The atmospherics of the songs are provided with the comprehensive use of synthesizers and effects. However they are buried beneath the thick black/death sound excepting the breakdowns and the last two tracks which are purely ambient compositions. The vocals are mostly delivered with deep growls but during clean passages the lyrics are spoken out narratively. There are also use of some chanting and clean vocals particularly in ‘Virulent Arrival of Demonic Hyper-space Denomination’. The overall production of the album is really raw and muddy, nevertheless all the instruments and effects incorporated can be heard perfectly. Although the guitars and drums are privileged, the bass guitars pound all over the mix and help to procreate the dark atmosphere throughout. From the very first minute, ‘Through Cosmic Corridors’ showcases the amazing songwriting skills of Lord Sxuperion. The sound never gets boring throughout the 40 minutes of its playing length. It’s a must listen for the fans of black/death metal and you won’t be disappointed at all. Highly Recommended. Recommendations: Purulent Spiritual Interstellar Void, Advanced Matter Drive for Ecclesiastical Dust, Denied Canonical Delivery.